You've tried clubbing in Hongdae at night, but how about shopping? 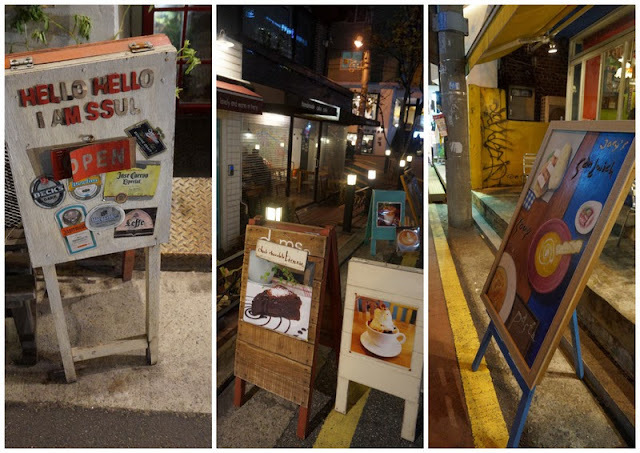 Hongdae (Hongik University area) at night is just as, if not more, vibrant and lively as during daylight. If you've only come here to shop at daytime and clubbing when night falls, you're missing out a lot. At night, when the dark creeps on every corner, the windows of these uniquely stylish shops delightfully lit on and somehow the whole area magically turns into a haven of clothes and rare accessories that are compelling enough to fascinate any customer. 1. The diversity of clothes. Myeongdong is way too commercialized (and at times overpriced), while shopping in department stores only offer high end products. Hongdae is long famous for its indie vibe, and this shows on the clothes these shops are selling. The items range from exquisite handmade stuffs to trendiest outfits of the moments. The price also varies from cheap ($10/piece) to quite high street (up to $100). 2. The window displays! The owners clearly have very great sense of style, reflected by the way they mix their outfits on display. It's like one look at the window and take my money already! And of course, there are elements of cuteness Korea's so famous for it became a cliche, yet we can't help ourselves falling for one little heart-melting detail at a time. Convinced yet? 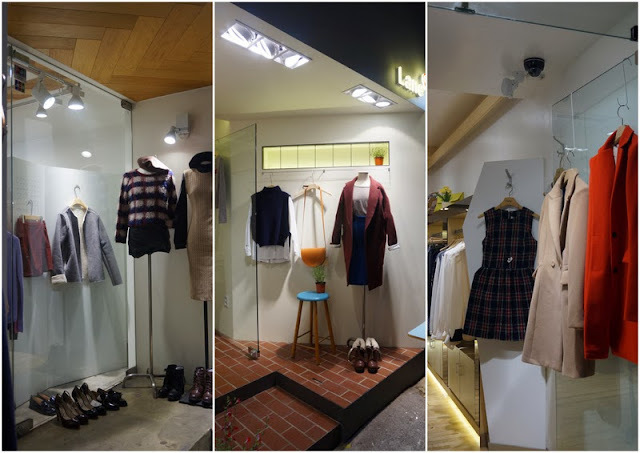 I sincerely cannot pick any favorites among these lovelies, shopping in Hongdae is really more about getting lost in clothes and digging things up until you finally discover the magics. 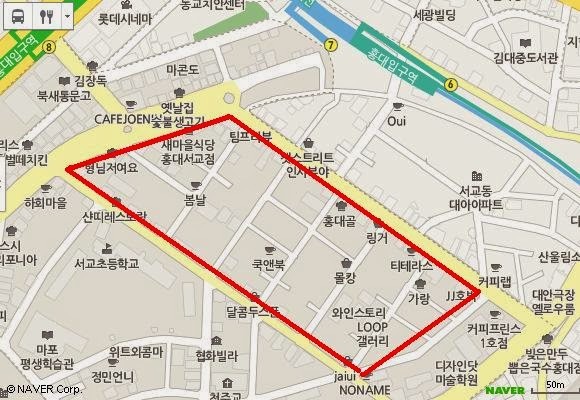 How to get there: Get off exit 8 of Hongik University Subway station, and the entire red-lined areas are where all these shops are. How late do these stay open?